Broadcaster, Nana Aba Anamoah has proved to be multi talented with her latest dance moves. In a video, the GhOne news editor was seen dancing to Medikal’s viral hit song, Omo Ada. 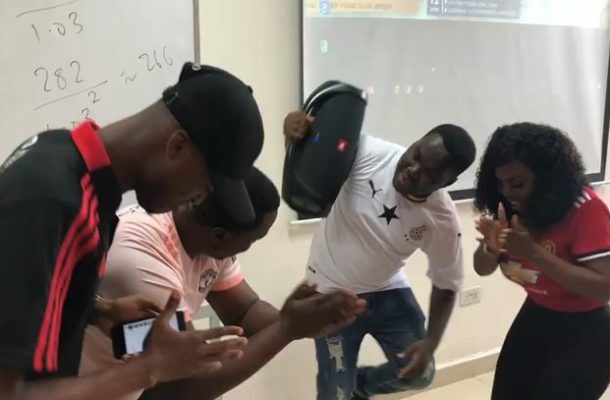 Nana Aba who was in with her mates at the University of Ghana Business School was seen displaying her skills while wearing her favorite Manchester United Jersey.